"Having the opportunity to take part in the vast selection of sports at St Margaret’s, I have been able to build my confidence and work with so many girls in both the junior and senior school. Being part of the netball team in particular has not only allowed me to become a more motivated individual but has also contributed to making our school a close-knit community." Our broad extra-curricular programme enables every girl to find something she enjoys and which she would like to continue after she leaves St Margaret’s. 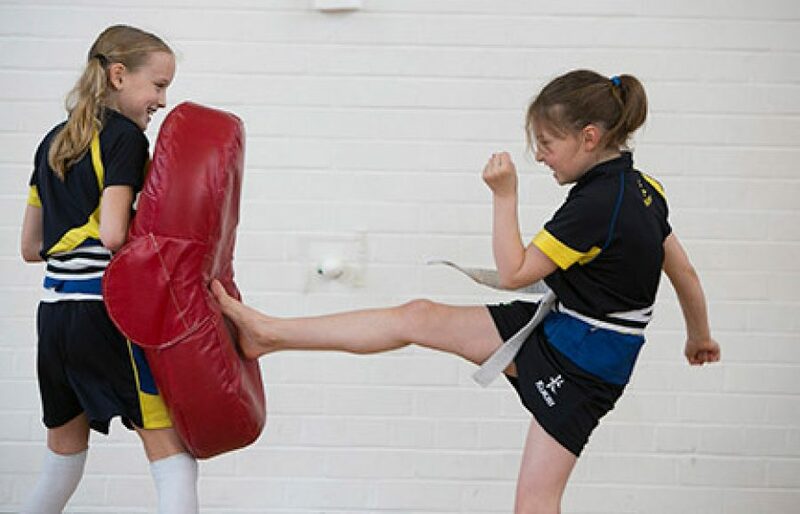 In 1 - 4 Junior, girls have the opportunity to participate in clubs such as karate, ballet, gymnastics, highland dancing, football and street dance. From 5 Junior upwards, girls also have the option to join athletics, badminton, basketball, cross-country, golf, hockey, netball, volleyball and tennis clubs. Regular involvement in friendly and competitive events - from local league matches to Scottish schools competitions - ensures that all girls are challenged in a range of sports such as athletics, cross-country, hockey, netball, skiing and swimming. Through sport, girls learn how to deal with failure as well as success, how to be self-disciplined and how to communicate with each other. Whilst we celebrate success and our teams aspire to excellence, we value effort and sportsmanship as much as winning. We believe in the development of the whole child, the fostering of an ‘active life’ philosophy and the promotion of a lifetime investment in sport and physical activity. Please call 01224 310781 if you need to find out if a hockey match has been cancelled.